A Tallahassee museum is getting recognition from architecture enthusiasts. The Call-Collins House at the Grove received the 2017 People’s Choice Award from the American Institute of Architects Florida chapter. It’s a rainy Tallahassee morning, but Grove museum director Johnathan Grandage doesn’t mind because the porch of the historic Call-Collins House makes for the perfect spot to watch the storm blow by and enjoy the view. Four massive brick columns stand on either side of the home’s sturdy white door with two sets of windows on either side. “The architectural style would be Greek revival or neoclassical depending on which architectural historian looks at it. But when he built the house this was a fairly popular style,” Grandage says. 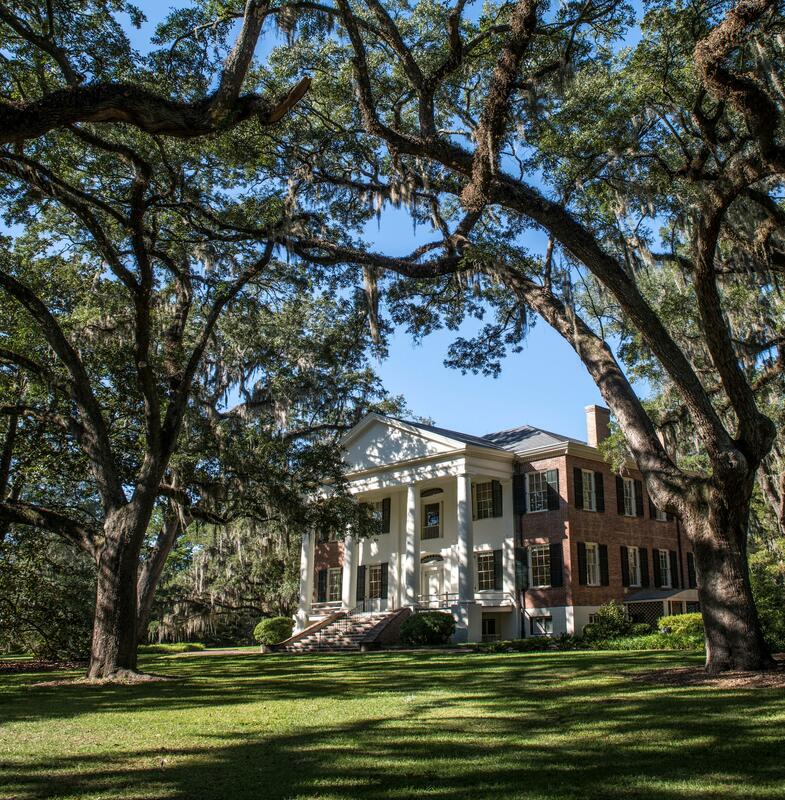 The House was built by Richard Keith Call in the late 1830s then passed through family members until most recently Mary Call Collins owed the home and her Husband LeRoy Collins used it as the Governor’s mansion. home into a museum. Grandage says that process involved changes to make the house more accessible, like putting in an elevator, as well as changes that help the building operate as a museum rather than a home--such as adding new bathrooms and paring down the kitchen. In the basement visitors can see the desk where Collins often worked as Governor and the typewriter he used to compose editorial columns for the St. Pete Times. But Grandage points to features the average visitor might overlook mortis and tenon joinery, huge original and replaced pine joists and careful repairs made on the home’s brick walls. “So when you’re repairing the mortar you’re matching the historic mortar. You’re analyzing the chemical composition of that and devising a mortar in 2013 or 14 when they did it,that matches the 1838 mortar. 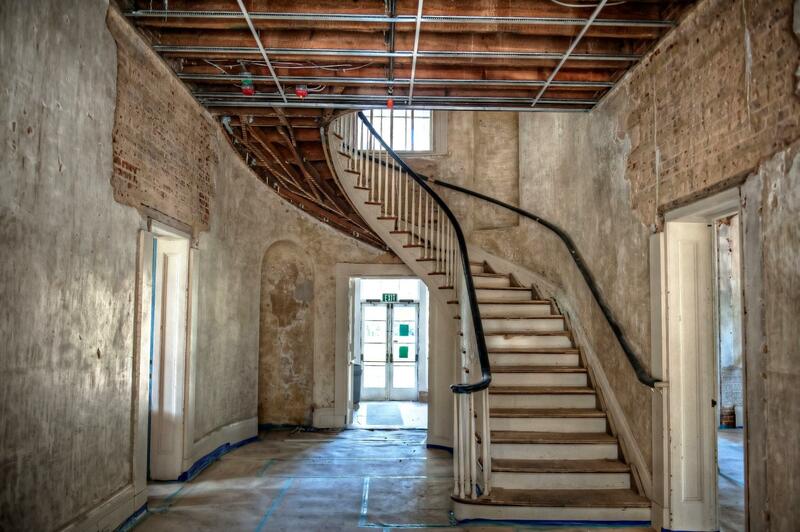 Or looking for ways to restore the house in keeping with the original materials," Grandage says. Another unique aspect of the home’s rehabilitation – it’s now LEED Certified, meaning it meets certain energy efficiency and environmental standards. Grandage says the recognition the building is receiving represents the importance of the preservation work. But he’s careful to credit MLD Architects and general contractor, Allstate Construction.